Confused about what to bring fishing? 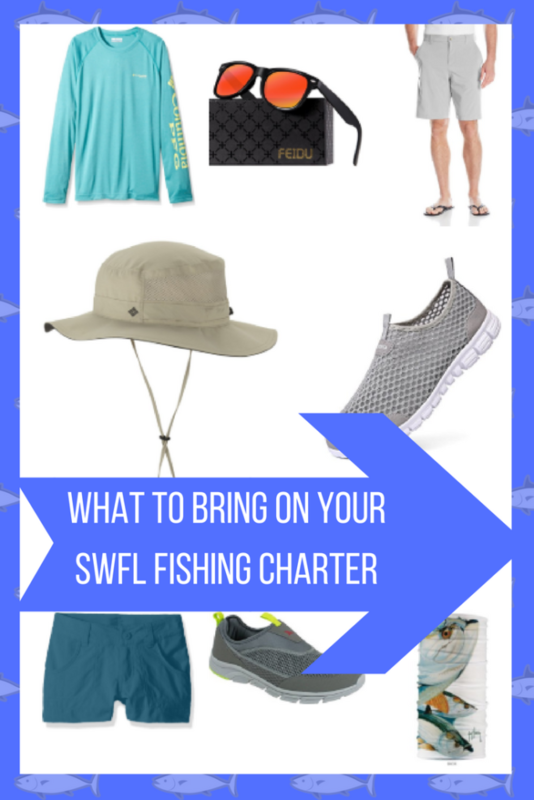 Although gear and fishing license is provided as part of your paid charter fishing Boca Grande, we thought it might be helpful to have a list of fishing equipment and suggested items you might want to bring along to make the most of your fishing adventure. The Captain will have some bottled water and a cooler of ice on the boat, but it’s a good idea to bring along snacks and a few extras to make the most of your fishing adventure. Ask us about shipping a box of snacks right to our door if you plan to fish several days! *affiliate links are used which means that if you purchase using them, we may make a profit at no additional cost to you. *Be sure to bring along any special medications, and check with your doctor or pharmacist about sensitivity to the sun while taking certain prescriptions. Let the Captain know in advance if you have any special needs which may require additional accommodations. *Although the Captain will provide a cooler with water, all license and equipment – it’s a good idea to prepare ahead of time by dressing for the heat in Southwest FL. Bring plenty of sun screen, hat, polarized sun glasses, extra fluids, and snacks or food. The rest of these items are simply suggestions or products we like with links for your convenience.